Gambian Love Rat – I Thought He Loved Me But He Was Only After a Visa! If you have a similar story that you’d like to share with the press, or warn others in a similar situation, get in touch today and find out how much your story is worth. We guarantee to pay the highest fees for your story. Read our latest love rat story here. I sat on the bed staring at my over-flowing suitcase and feeling overcome with doubt. What am I doing? I said to myself. I had just split up with my partner of 10 years and here I was, getting ready to fly half way around the world with him. It was madness! 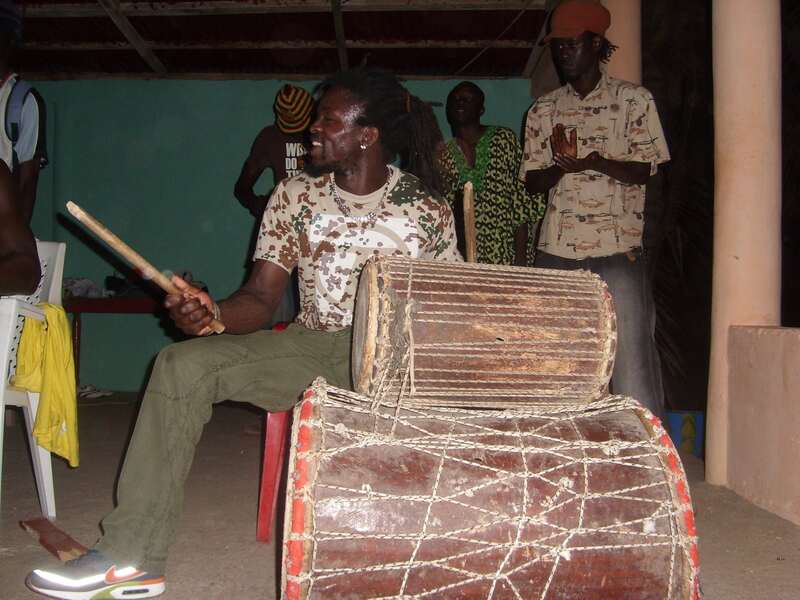 We had booked a two-week holiday to Gambia while we were together, and things hadn’t worked out between us. But, Instead of throwing the holiday of lifetime away, we decided to be grown up about it and just enjoy ourselves. Remembering all this, I jumped off the bed with renewed energy, grabbed my suitcase and my keys, and marched myself out of the house and into the taxi waiting to take me to the airport. 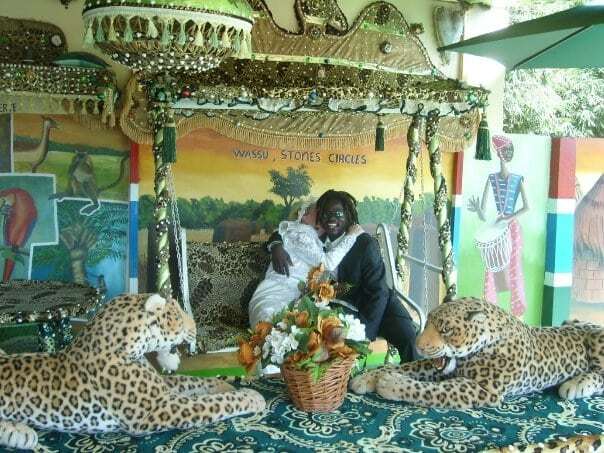 It was 2007 and I had never been to Africa before. It all seemed so exotic and mysterious; so much better than a wet and miserable British winter. I cooed when we arrived at our hotel – separate rooms, of course. “It’s wonderful, my ex said. It’s just what I need to get my head together,” I said. He agreed with me, but warned me about the local men. I wasn’t looking for love anyway, so I was determined not to fall for the old tricks. But on our 4th day there, I was approached by a man named Lamin Sidebeh. He walked up to me on the beach, introduced himself and offered to show me the island. “I can take you to places the tourists never see,” he said. He was big, tall, dark and muscular, with dreadlocks and an enchanting smile. I was immediately bewitched, but I told myself that he was only after my money. “I think I’ll pass,” I said, putting my sunglasses back on and turning towards the bright blue ocean. I should have known then that he wouldn’t leave me alone. I couldn’t understand why he had chosen to call me that. It must have been my blond hair, but despite ignoring him, I couldn’t deny there was something that drew me to him. Eventually, I agreed to let him show me the Gambia the tourists never see. We explored the secret spots of the coast, and he took me on walks through the plantation, telling me everything he knew of his country. Of course, I had to pay him, but it wasn’t that much money, and he was such a gentleman – so charismatic and charming. That evening we went for dinner together and then he took me for a walk on the beach before making a bonfire in the surf. “Watch this,” he said, before jumping up and juggling some sticks he had lit in the fire. I was mesmerized. All thoughts of being sensible and foolish left me. I had to admit, the break-up with my ex had affected me more than I realised. For the remainder of the holiday we were inseparable. He was an amazing drummer and all the girls fawned over him. I felt so lucky that he was with me. On our last night together before I caught my flight home, while we were sitting on the beach, Lamin got down on knee and asked me to marry him. But Lamin didn’t care. He said he loved me and that was that. “When you k now, you know,” he said. But I didn’t know. I’d had a great time and thought he was a lovely bloke, but I wasn’t ready to get married. Not at my age anyway! He gave me a beaded necklace as a gift and told me to think about it. But when I got home to my home in Bournemouth and to my job as a carer, I felt I had made the right choice. My friend, told me that I would have been crazy to marry him. “He obviously only wants a visa and a free ride,” she said. I’d booked a trip back almost as soon as I got home, but I quickly changed my mind and cancelled the trip. “I’m just not ready to jump into anything right now, Lamin,” I said during one of our daily phone calls. In reality, I had gut feeling something wasn’t right. So I said to myself, if he really is genuine, then he can wait until I’m ready. Eventually, after a year of daily phone calls, Skype calls, and texts, he convinced me. “OK, OK,” I said. “I’ll come back,” I said, after one of his more persistent phone calls. “And what about the other thing?” he said. But I should have known something was rotten in Denmark when I arrived in November 2008 to find he hadn’t bought the rings after all. Luckily, I had an old ring of my own which we used, and I was able to pick up a cheap one for Lamin. I had bought a dress in Bournemouth, but when we arrived at the registry office, there was a queue of Western women all waiting to marry their own version of Lamin. They were all hiring wedding dresses direct from the office; a ‘one size fits all’ sign on the dress hanger. What am I getting myself in for? I thought to myself. A few friends joined us at the ceremony before we headed down to the beach for food and photos. It felt glorious to be married. 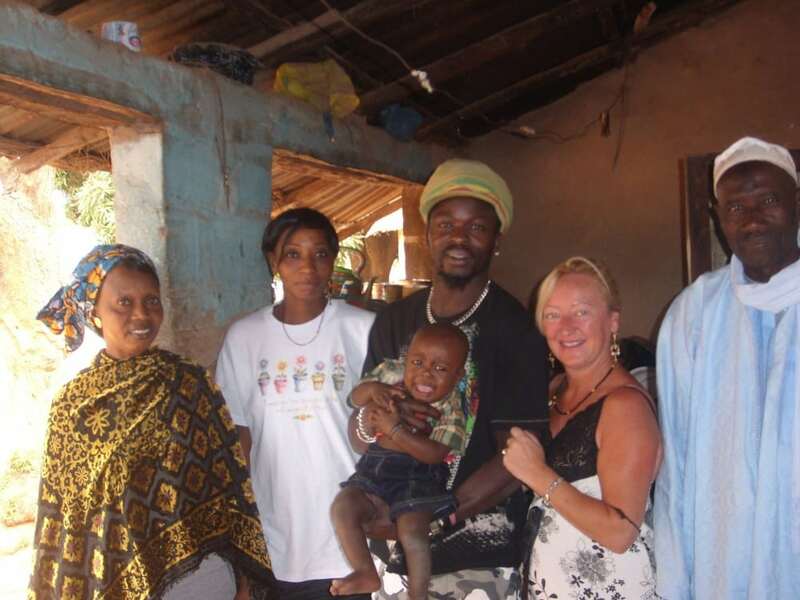 I was in my late forties then and to be married to someone like Lamin was a dream come true. I put all the doubts and uncertainties out of my mind and just tried to enjoy the wedding. But as soon as the ceremony was over, I spent the rest of the holiday up to my eyeballs in paperwork. “Why don’t you come and have a drink, Lady Di,” Lamin said. “Because if we don’t get all this paperwork sorted, then I’ll be flying back to England on my own,” I said. At that, he got stuck in. We filed applications for a spousal visa, documents to the high commission, getting character references and photographs done. We must have spent half the time printing papers at a local internet café. Two months later, In January, after being delayed due to the application process, I met Lamin at Heathrow airport. I was delighted that it had all worked out so well and we were now able to spend the rest of our lives together. In the beginning, we were quite happy together. Lamin was so excited about being the UK he couldn’t sit still for a minute. It was lovely that he was so keen to get out and about. I really worried about the cultural difference for him, but he seemed to approach it with joy. I tried to find him a job, but as he had no qualifications, none that would pass her in the UK, it was an uphill battle. I enrolled him on a course to help him with his English, but he didn’t stick with it. He began drinking heavily – sometimes five or six cans of super strength lager a day. He wanted to go clubbing all the time and wanted the best of everything – the newest mobile phone, and designer clothes. “I can’t afford any of this.” I said to Lamin getting frustrated. But he didn’t seem to care. He would spend all day on the phone ringing his friends in Sweden, Switzerland, Italy, France and back home in Gambia. I must have spent close to £20K and I just couldn’t afford it. I was utterly shocked. I had never thought about children, and at 50 years old there was no way I was going to start now. I thought it was a cultural thing so I offered to go to marriage guidance with him, but he refused. He wasn’t willing to do anything to save the marriage. And by that point it really needed it. He was like a different person. Throughout the two short years we were together in the UK, I spent all my time away from work helping Lamin with his home office application. In order to prove he was contributing to society and eligible to stay, I had to help him find work, which I did eventually, as a cleaner at a Bournemouth hospital. I even arranged for all my bills to be paid via direct debit from his bank account, which I set up too. I even paid for him to have a professional CV done. And the day he had been waiting for finally came around. 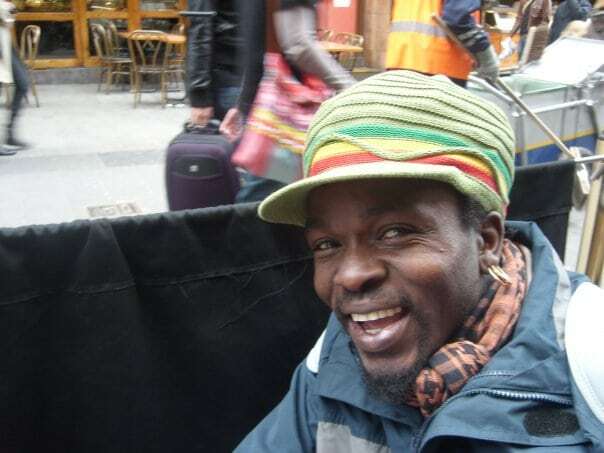 In March 2011, Lamin was granted indefinite leave to remain in the UK. Almost as soon as he got it he accused me of cheating. He said he had proof of me cheating in a locked suitcase he had kept hidden on top of the wardrobe. But he wouldn’t show me. I grabbed a knife from the kitchen and cut it open, it was full of photocopies of my bank statements, bank account details, passports, visa applications, bills, and proof of address. It was obvious that he was getting ready to leave. But to my complete shock, he called the police and told them I was brandishing a knife. They came and arrested me and I spent a night in the cells. I was released the next day after police told me I couldn’t be held for damaging my own property. I was distraught. I couldn’t understand how my own husband could do this to me. When I confronted him, he apologised, but I knew our marriage had broken down. The paramedic told me, ‘you don’t deserve to be treated this way. You’re a good person’. She was right. He was trying to make me out to be insane. I decided then and there to leave him and I started getting myself ready to tell him. But a few days later, Lamin walked out on me! He left me a bunch of flowers and took a framed picture of our wedding day. The next day, he sent it back recorded delivery. He’d got his visa. He was granted leave to remain in the UK indefinitely. That was all he ever wanted from me; that and a free ride. I filed for divorce straight away. But Lamin kept disposing of the divorce papers in public places. Eventually I had to get a bailiff to serve him the papers. But he didn’t even have the decency to show up for the decree nisi in November 2011 and I was granted a divorce in his absence. I honestly believe that all he wanted was a visa and I was his cash cow to getting one. He’s a professional conman and he ruined my life. How many more women are going to fall for these fraudsters? Someone needs to speak out. Most women are too embarrassed to tell anyone. But I’m fuming that he can get away with this. I’ve spoken to the home office, but there’s nothing they can do. 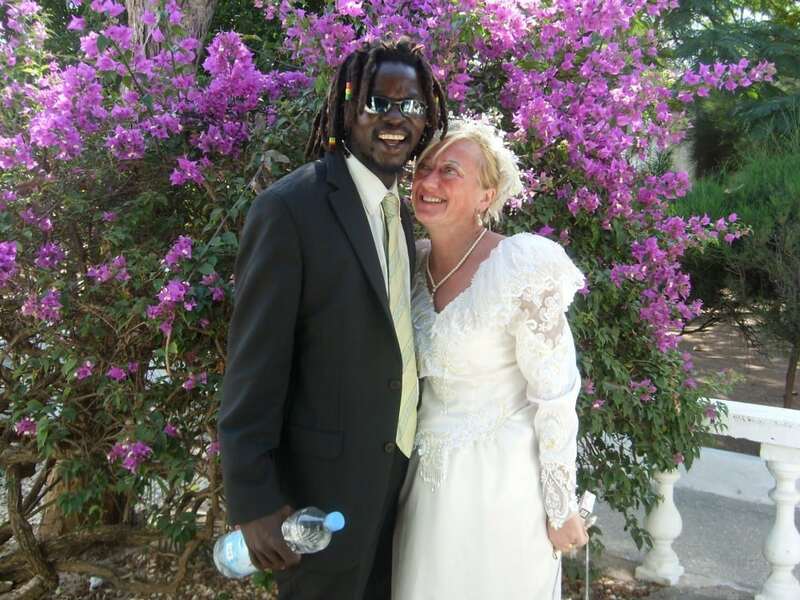 When approached, Lamin argued that his wasn’t the first marriage ever to break down, implying that walking out on Julie a mere weeks after getting his indefinite leave to remain in the UK was just a coincidence, and bad timing. It’s a sad fact that many people are the victims of love rats, con-men, and cheats. It’s easy to be blinded by love and infatuation, and some people make a living from being professional liars, so it’s no wonder that so many people are taken in by these despicable rats. Magazine editors and the readers of our magazines are always interested in your love rat stories, so why not get paid to warn other people about what you have been through. Help others in a similar situation, and get paid. Simply complete the form on the right hand side of this page to let us know a little bit about your story (one of our team will get in touch to find out more and tell you more about selling your story). You can also view our Love Rat website, or you can read more about how to sell a story on our Sell My Story page.